When faced with seemingly insurmountable problems, it’s a good idea to call upon the forces of nature. First you have to think about the nature of your city, how it works and how to work with it. Mexico City is built on a lake, so start there. 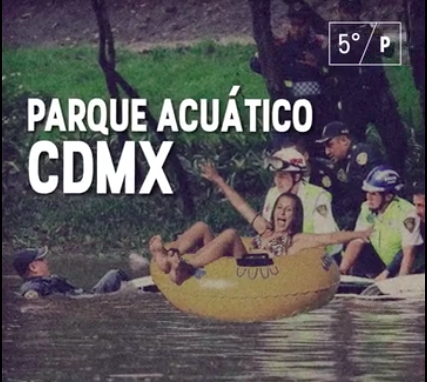 A satirical video circulated this past summer announcing Mexico City as the country’s newest and most exciting water park, featuring waterfalls in the metro and an airport runway turned waterway. I thought they might have included the geyser spouting out of a drain that I saw next to the sign for the Fuentes Brotantes (Gushing Fountains) Metrobús station. 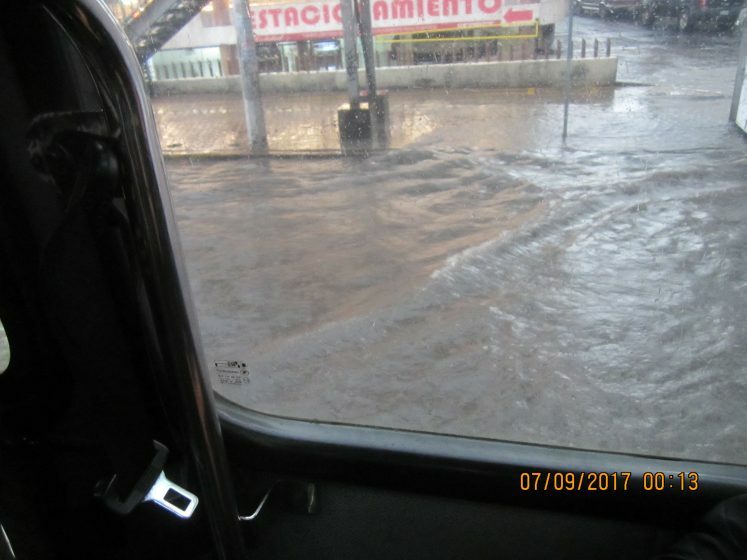 Instead of draining away the rising water that was filling the major arterial road Avenida Insurgentes Sur, the sewage system was channeling rushing water from higher up the slope of the Valley of Mexico into the centre of Mexico City at the bottom. Similarly, roads running perpendicular to the avenue became fast-flowing streams with cascades forming as the water flowed over outcrops of urban infrastructure. The force of the water provided a new reason to take care when crossing intersections as the water level crept up our legs and hinted at the possibility of being swept away. But my real moment of fear came when edging along a ledge over several feet of murky water and thinking about the unlucky combination of my natural lack of balance and the number of electronic devices in my backpack. 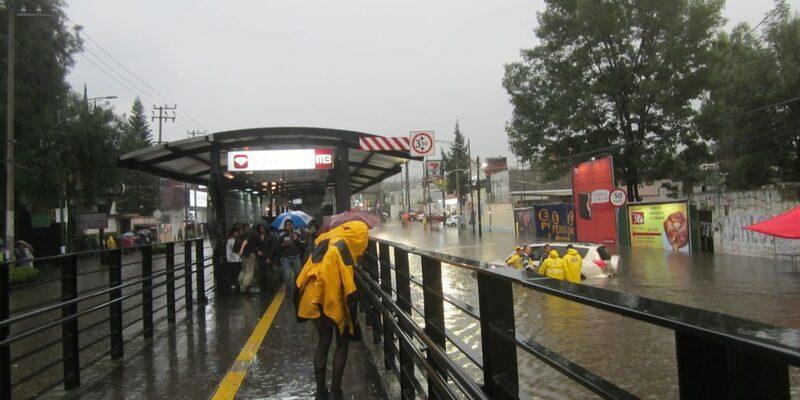 This watery urban adventure had begun when my boundlessly adventurous friend and colleague Jürgen Hoth decided that we should get off the Metrobús and continue our journey on foot along the flooded expressway. This seemed perhaps the only way to avoid spending the night in an articulated bus which had come to a complete stop with the thousands of other vehicles on the road. We saw the reason for this paralysis after an hour or so of wading through water and clambering over railings and road dividers and across Metrobús platforms in search of higher ground over which to continue our journey. 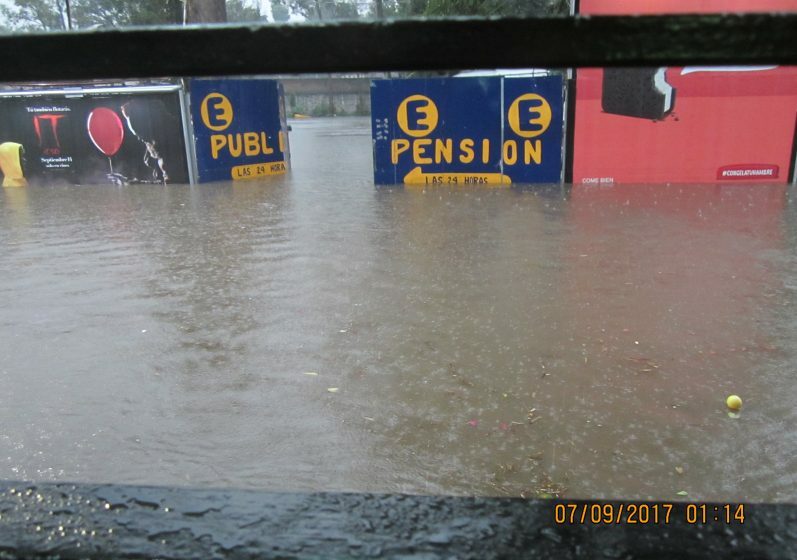 At the front of the sea of immobilised traffic we saw that a lake had started to form in the lower part of the expressway. Emergency workers were moving about with hooks presumably trying to unblock drains, which appeared to be a hopeless endeavour. People kept saying to me: “This city was built on a lake”. And although it looks like every last vestige of water has been drained away, “The lake keeps coming back”. This lake, with no natural outlet, was Lake Texcoco where the Aztecs turned an island into their capital city of Tenochtitlan. The flooding on the day of my watery adventure was by no means the worst of this past rainy season. It was only one of many days where people spent hours and hours moving small distances within the city-becoming-a-lake. Mexico City dwellers spend huge amounts of time sitting in traffic under all climatic conditions but the addition of water shifts the question from “what time will I get home tonight?” to “will I get home tonight?” As in many places, there is a sense that the climate is changing and that the flooding is getting worse. It is a big problem that requires a big solution. Some have decided that the solution is to build a giant sewer to carry more of the city’s unwanted water away. The Túnel Emisor Oriente (Eastern Discharge Tunnel) is scheduled for completion, after various delays and budget overruns, at the end of 2018. Despite the enormous investment, according to some critics, it will not be able to prevent flooding. This massive engineering project raises questions about the effects of being on the receiving end of the wastewater of nine million people and their economic activities. It also seems unwise to channel water away from a thirsty city with a falling water table (and a serious subsidence problem), which must resort to piping water in from further and further away. The Sistema Cutzamala (one of the largest waterworks in the world, and possibly the most expensive to operate) brings water from about 150 km away and pumps it 1 km up to the elevation of Mexico City—and still only provides about 30 percent of the water required. It’s an absurd situation for a city that was, and to some extent still is, a lake. Fortunately, a growing number of people are thinking about what it means to be a city that was a lake, and are exploring ways to work with their ecosystem rather than against it. Many of them believe this is the only feasible solution given that conventional water management infrastructure has been tried unsuccessfully since the arrival of the Europeans. Academics, civil society organisations, and government officials are now talking about what are increasingly described as nature-based solutions. I have been fortunate to speak to some of them about this in my role as a researcher within the programme NATure-based URban innoVATION (NATURVATION). 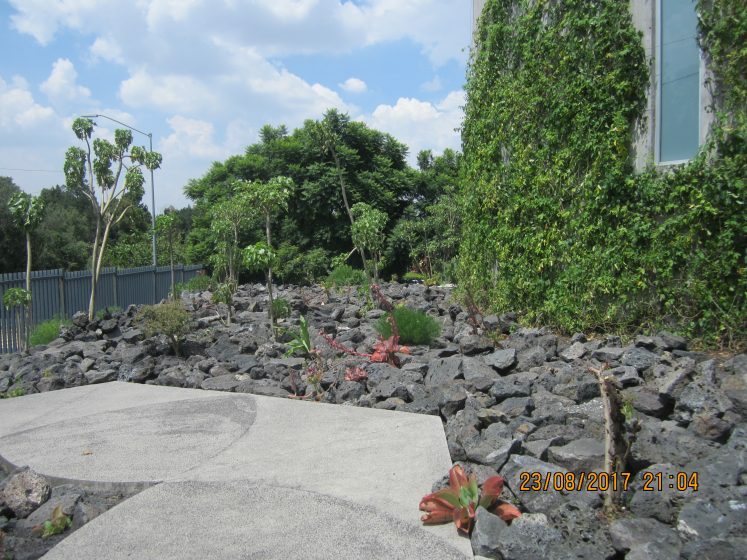 Fortunately, Mexico City has nature on a grand enough scale to play a significant role in providing solutions to its big problems. One of the most surprising things about this densely populated city is that more than half of the area within the city boundaries is a conservation zone, the Conservation Land (Suelo de Conservación). This large area of 85.5 hectares was designated for conservation some years ago (classified in 1976 and clearly defined in 1987). This designation recognised the importance of the local ecosystem within the growing city. Unfortunately, there are many threats to the Conservation Land and the regulations governing its use are not always respected. However its very existence is testimony to the long-standing, prescient vision regarding the role of natural processes in the city, and an enduring legal framework that facilitated emergence of these nature-based solutions. The Conservation Land is deemed to be of particular importance because of its role in recharging the aquifer, which still satisfies about 40 percent of the city’s water needs and has potential to do more. 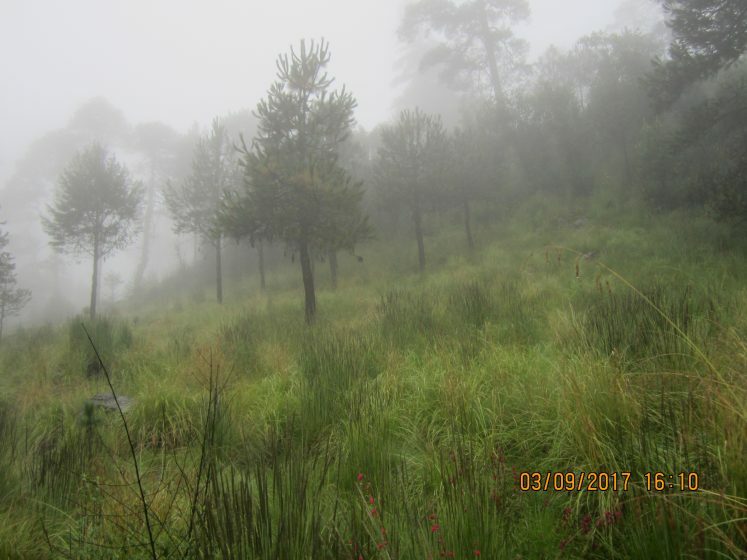 The slopes of the Valley of Mexico must retain their vegetation in order to absorb rainfall and recharge the aquifer. 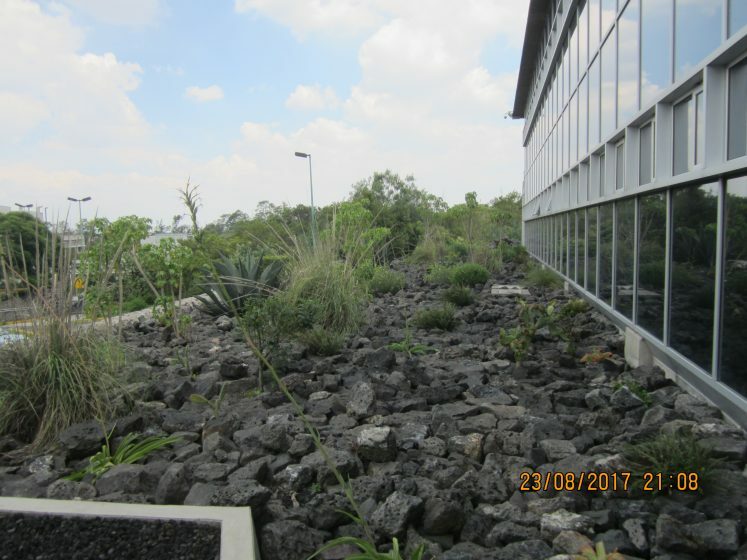 Vegetated slopes retain rainwater in the upper parts of the basin, slowing and absorbing the flow and lessening the likelihood of creating lake-like conditions and flooded roads and buildings at the bottom. Below much of the paved surface of the city lies an impermeable clay lakebed. There is nowhere for the water to go. It is therefore infinitely better for this runoff to be absorbed higher up and converted into good quality water for humans and non-humans, than becoming an agent of destruction, picking up contaminants, doing damage and ultimately requiring costly removal by a yet to be effectively implemented grey infrastructure. 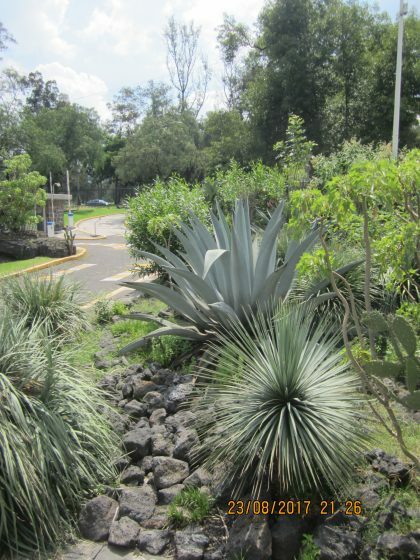 It is also important to note the existence of the pedregal in the Valley of Mexico, an ecosystem of drought-resistant vegetation in a water collecting landscape of basalt (volcanic rock). It has the capacity to store water and to channel it into the deep aquifer below the lake bed so maintaining its functioning is crucial. 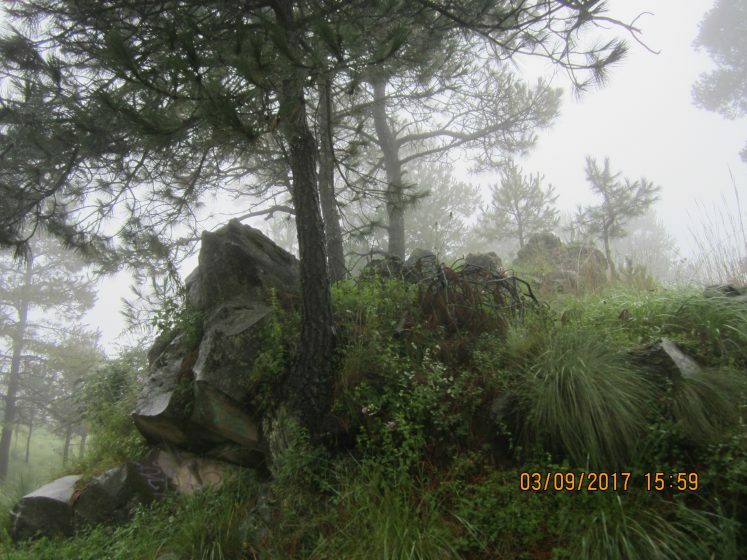 There are remnants of this landscape in the built-up portion of the southern part of Mexico City and there are opportunities to protect and restore it using approaches showcased around the campus of the Universidad Autónoma de México (UNAM). 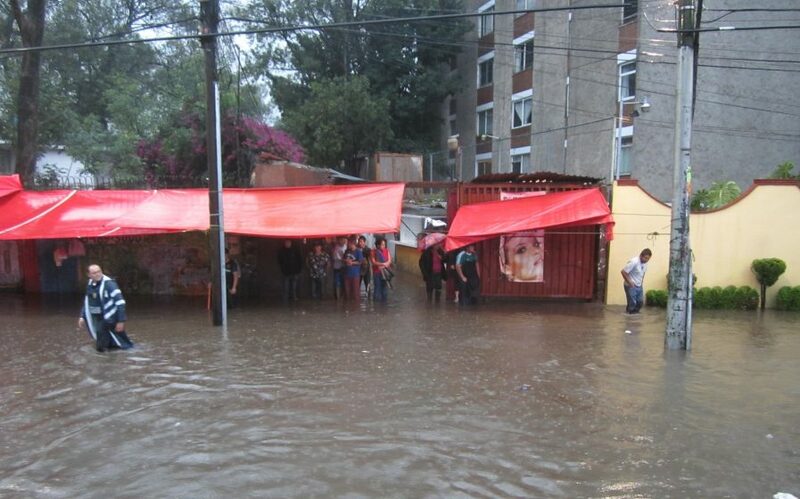 But while there is growing awareness that the best solutions to Mexico City’s water problems must be nature-based solutions, the challenges of implementing these are greater than engineering a giant sewer. Multiple overlapping layers of grey infrastructure and the social infrastructure that facilitates its expansion limit the opportunities to benefit from the green infrastructure underneath. People looking for housing can find cheaper options by moving to the edge of the city and up the slope. This land is thus sealed off beneath homes and roads and the other facilities that will eventually follow. Both real estate development and irregular settlements facilitate this sprawl, and are in turn encouraged by the social, economic, political, and legal context in which they unfold, with vulnerability and corruption playing big roles. Poorer people in this very unequal city often find themselves driven away from central areas and forced to settle far from their places of work and the amenities and communities that may be important to them. Sadly they become both victims and sources of the traffic problems, spending hours each day in buses that move even more slowly during flooding exacerbated by their dislocation. Some areas are safeguarded by the presence of traditional practices of cultivation, now also combined with newer forms of sustainable production and land management. These are often in the care of indigenous communities or ejidos (campesino communities), which collectively own their lands. In the UNESCO World Heritage Site of Xochimilco (the last vestige of the Mexico City lake system) people still grow food using chinampas, the floating gardens that once fed the entire city and that are now also noted for their water filtering and flood mitigation capacity. But alongside these are a growing number of greenhouse operations and throughout the Conservation Land intensive cultivation both reduces and pollutes the water that makes it to the aquifer, while illegal cutting or clearing and land use change removes trees and displaces the native grasses that have a key role in maintaining the healthy functioning of the ecosystem. All of this is made more complicated by the presence of criminal activity and accompanying impunity that can make it dangerous to confront people engaged in illegal activities. In parallel other forms of criminality direct attention and enforcement resources away from protecting a vital ecosystem and the communities maintaining sustainable livelihoods within it. 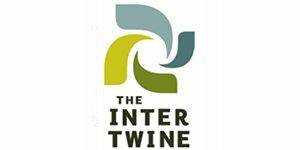 This complex dynamic plays out within an equally complex web of land tenures and jurisdictions including collectively owned lands, protected natural areas, cities and their boroughs, and several states. Fortunately various entities (states, municipalities, local communities, civil society organisations, academics) within what is now known as the megalopolis have come together to collaborate in an initiative called the Water Forest which covers an area of about 1000 square miles. They recognise that the ecosystem of the wider Basin of Mexico is essential to the survival of Mexico City and surrounding settlements with their 23 million people, and its protection and restoration is, therefore, a question of national security. The current investment of effort, creativity, and goodwill of many actors engaged in diverse activities is a source of hope, particularly as the work is taking place at multiple scales including within local areas like Xochimilco, the wider Conservation Land, and the umbrella initiative of the Water Forest. This is accompanied by the development of innovative approaches to financing that reflect the high value of the ecosystem services provided and it is facilitated by the expansion of perspectives that acknowledge and work with the complex overlapping systems that are the source of and solution to challenges, as is evidenced by the Mexico City Resilience Strategy. Perhaps the biggest challenge, however, remains the socio-cultural shift required among all urban actors who need to move away from thinking like a builder of a machine and move toward thinking like a collaborator in an ecosystem. When faced with seemingly insurmountable problems, it’s a good idea to call upon the forces of nature. First you have to think about the nature of your city, how it works and how to work with it. Sometimes it’s not obvious on the surface, as in the case of Mexico City where water scarcity is emblematic but where the solution is to think like a lake. NATure-based URban innoVATION (naturvation.eu) is a 4-year project funded by the European Union’s Horizon 2020 research and innovation programme involving 14 institutions across Europe in fields as diverse as urban development, innovation studies, geography, ecology, environmental assessment and economics. The partnership includes city governments, non-governmental organisations and business. 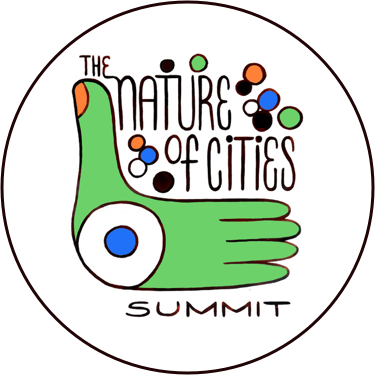 The project will assess what nature-based solutions can achieve in cities, examine how innovation is taking place, and work with communities and stakeholders to develop the knowledge and tools required to realise the potential of nature-based solutions for meeting urban sustainability goals. Connolly, P., & Wigle, J. (2017). 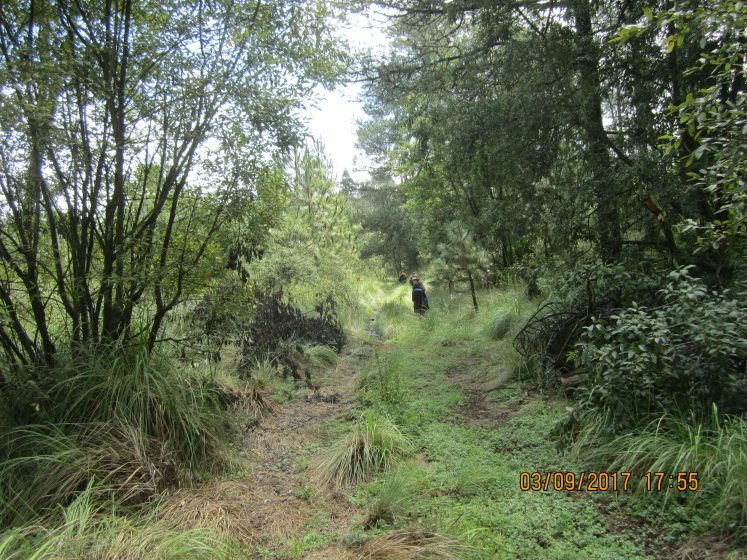 (Re) constructing Informality and “Doing Regularization” in the Conservation Zone of Mexico City. Planning Theory & Practice, 18(2), 183-201. National Research Council. (1995). Mexico City’s Water Supply: Improving the Outlook for Sustainability. National Academies Press. 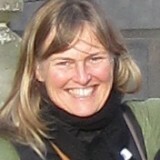 Janice Astbury is a Research Associate at Durham University and at the University of Manchester. She is currently involved in two European Union projects ‘NATure-based URban innoVATION (NATURVATION)’ and ‘Learning Loops in the Public Realm (LOOPER)’.